On this original and entertaining DVD, International Master Andrew Martin takes you on a guided tour of this fascinating and creative opening. Through the use of complete games, both classic and modern and some repertoire suggestions Martin paints a comprehensive picture of the current state of play and looks towards the future. In the new, expanded 2nd edition there are many recent clashes and some remarkable modern ideas are discussed. The King's Indian is as uncompromising and resilient as ever! 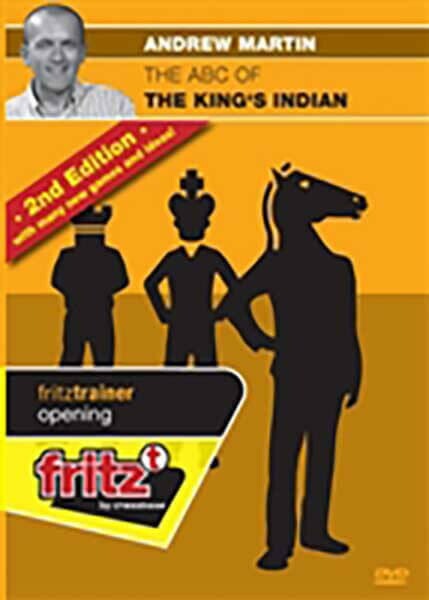 This DVD will inspire all players and demonstrate that the King's Indian is very much alive on the modern master scene.